The 911 range runs from sporty to supercar, but don't let spec-sheet envy entice you farther up the ladder than your wallet will bear; even the base 911 is a supremely capable sports car. The 2014 Porsche 911 range spans a broad spectrum, but somehow manages to hit exactly the right marks at each point, balancing performance, features, and practicality almost perfectly. The Porsche 911 is not just the brand’s iconic sports car, it’s one of the most iconic cars ever. From the standard Carrera to the GT3 to the Turbo S, the 2014 Porsche 911 spans a range of capability, performance, and price that’s simply staggering. 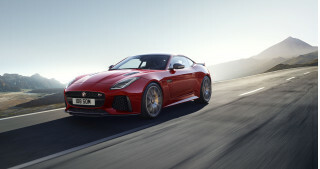 It remains a benchmark for sports cars the world over, and in its higher forms, puts supercars on notice. Now in its seventh generation, the Porsche 911 is longer, wider, and lighter than before, while somehow retaining the classic cues and curves that identify the 911's iconic shape. 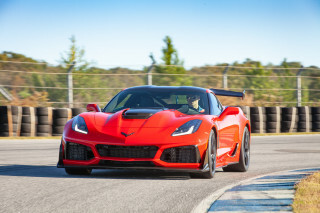 New options for the 2014 model year include all-LED headlights with dynamic high beam; SportDesign side mirrors; Sport bucket seats; a storage net in the passenger footwell; speed limit display in navigation-equipped vehicles; digital radio; CDR-Plus audio system; and a host of new colors. The 2014 GT3 gets a new PDK Sport button on the center console to offer a more aggressive transmission setting for hard driving. A pair of turbocharged 911 models join the 475-horsepower GT3 released early in 2013 as a 2014 model. The 520-horsepower 911 Turbo and 560-horsepower Turbo S offer even more power than the race-inspired GT3, plus standard all-wheel drive and a much less spartan interior experience. For those with less concern for having the highest-horsepower sports car on the block, the 350-horsepower Carrera/Carrera 4 and 400-horsepower Carrera S/Carrera 4S offer the full 911 experience at a more palatable price point--but still with a choice of extra sport and all-wheel drive. All models expect the GT3 and Turbo range offer a choice of a seven-speed manual transmission or a seven-speed PDK paddle-shift dual-clutch automatic. The GT3, Turbo, and Turbo S are only available with the PDK gearbox. While the exteriors and performance options vary widely across the 911 range, the cabins are nearly identical throughout the lineup. Upgraded seats, materials, and infotainment features are included in the upgrade to many of the higher-performance models, but many options are available a la carte even at the 911's entry point. Whichever 911 you choose, the front seats are comfortable and roomy, with an open-feeling cabin thanks to large windows at the front and sides. The rear seats are best suited to extra cargo and occasional child-ferrying duties, as leg room is minimal, and the 911's sloping roof compromises head room, too. A front trunk area holds a fair amount of luggage. 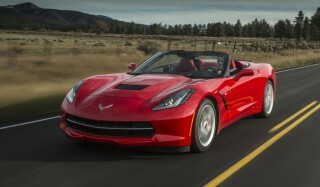 Gas mileage is rather good for a high-performance sports car family, with up to 20 mpg city and 28 mpg highway possible. Even the 560-horsepower 911 Turbo S isn't a gas guzzler at 17 mpg city and 24 mpg highway. Neither the National Highway Traffic Safety Administration (NHTSA) nor the Insurance Institute for Highway Safety (IIHS) has crash tested the 2014 Porsche 911. Despite the lack of data, Porsche's reputation for sound engineering, advanced safety devices and electronics, and the 911's innate dynamic responsiveness should help avoid crashes or minimize injury. The look of the 2014 Porsche 911 has evolved hugely over the past 50 years, but somehow still echoes the original. Still without doubt a Porsche 911 at first glance, the styling of the latest model is very different from its predecessor--just subtly so. A low, sloped nose, rising front fenders capped by round-ish headlights, and the fastback coupe profile all say "911," despite the changes. All four of the new 991-based variants are also available in Cabriolet (convertible) form as well. A wider front track balances out the front-rear proportions, and the longer wheelbase helps stretch the car's lines into more elegant arches and curves. Moving up from the base Carrera to the Carrera 4, 4S, GT3, and Turbo, the styling gets progressively sportier and, at the upper end, more racing-oriented. Likewise, track widths and fender flares grow wider, and ride heights drop lower as you move up the performance spectrum. Inside, the Porsche 911 carries off an adaptation of the Panamera's cabin with equal if not greater skill; though the center console is perhaps a bit button-heavy, it's much sleeker and more intuitive than the Panamera's own, while the dash, steering wheel, and other details fit perfectly with the 911's sporting aptitude and daily-driver comfort. The 2014 Porsche 911 range is faster and better-handling than ever with the addition of the Turbo and GT3 lines to the new chassis. The Carrera, Carrera S, and their all-wheel drive Carrera 4 variants were the only models updated to the new 991 basis as of the 2013 model year, but now the Turbo and GT3 have joined the new platform for 2014. There are nearly as many engines available in the 911 as there are 911 variants; the base engine, found in the Carrera and Carrera 4, is a 3.4-liter flat six that packs 350 horsepower thanks to direct injection and a free-revving nature. 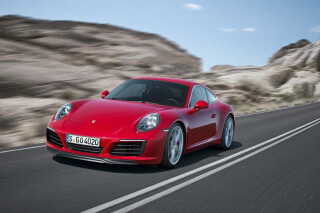 The Carrera S and 4S get a 3.8-liter six good for 400 horsepower. 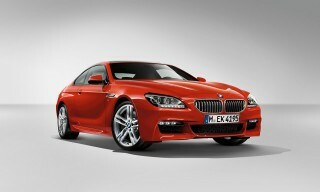 Either engine can be paired with either the seven-speed manual or the PDK transmission. With the PDK, the Carrera gets to 60 mph in just 4.6 seconds, while the Carrera S does it in 4.3 seconds; Carrera 4 models eke out 60 mph in as little as 4.5 seconds, and the C4S does it in 4.3 seconds. Cabriolet models add about 0.2 seconds to those times. The Porsche 911 Carrera 4 adds all-wheel drive to the mix, and along the way, picks up rear fenders that are 1.7 inches wider, to better house the larger wheels and tires equipped. 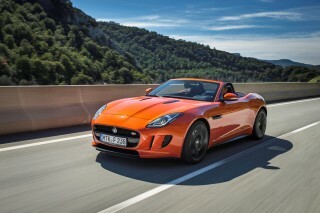 The resulting increase in track width should add even more stability to the all-wheel drive models. Add the Sport Chrono package, which adds launch control, and you take 0.2 seconds off each car's 0-60 mph run. Top speeds clock in at 179 mph and 188 mph respectively for base and S models, while Carrera 4 and 4S models top out at 177 and 185 mph. 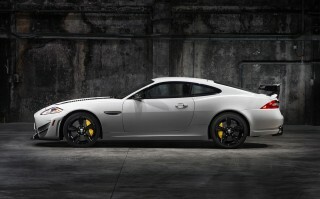 The rear-wheel-drive GT3 hits 60 mph in just 3.3 seconds thanks to its 475-horsepower, normally aspirated 3.8-liter flat six-cylinder engine and 3,152-pound curb weight. Top speed is 195 mph, and the GT3 will lap the Nordschelife in less than 7:30. The new-for-2014 911 Turbo boosts output to 520 horsepower with a pair of turbochargers added to the 3.8-liter engine, rocketing to 60 mph in just 3.2 seconds with the aid of launch control and standard all-wheel drive. The Turbo S takes it a step further, with 560 horsepower and 2.9-second 0-60-mph runs. Top speed for the Turbo is 196 mph; the Turbo S can reach 198 mph. The available PASM (Porsche Active Suspension Management) system offers dynamic suspension response to the road and driving conditions through a series of settings from Comfort to Sport Plus. Porsche's advanced Dynamic Chassis Control (PDCC) is also available. The PDCC system adjusts the car's roll stiffness through the use of anti-roll bars. The Sport Chrono package is also available on the base Carrera--and as the name indicates, a key element of the package is a stopwatch on the dash that ties into the car's computer to enable lap timing and other functions. Handling in the newest batch of the 911 is fantastic, with Porsche's engineering and electronics taking away the traits that once earned the 911 a reputation as a bit of a vicious end-swapper. In fact, the 911 range offers a stability and balance that any sports car would envy, even at the Turbo S end of the spectrum. Accurate steering, a nimble suspension, brisk acceleration (startlingly so in the Turbo and Turbo S), and fantastic on the brakes, the 911 is almost the perfect package. If there's a weak spot, it's the electronic power steering system, which while among the best of the EPS implementations we've tested to date, still doesn't match the feel we're used to from hydraulic power steering. The 911 Turbo and Turbo S put a particularly fine point on Porsche's refinement and evolution of the 911 chassis, delivering supercar performance in a very approachable, easy-to-drive package. 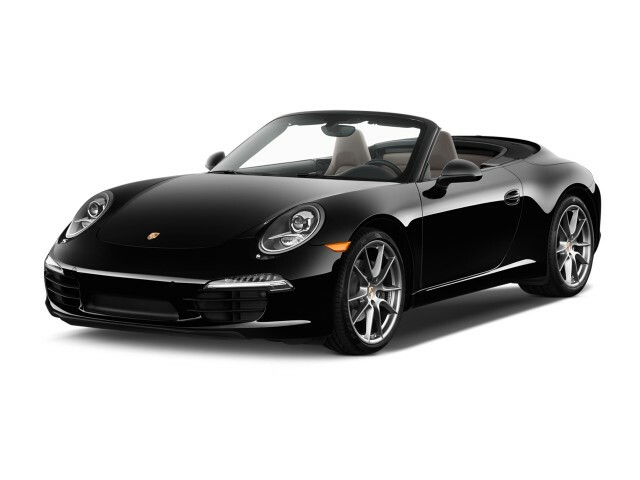 Well-built and well-specified, the 2014 Porsche 911's cabin is comfortable, quiet, and practical. With leather upholstering the seats, across the dash, and many other places in the cabin, the 2014 Porsche 911 feels and looks more like a typical luxury sedan than a bare-bones sports car. The front seats are comfortable and easy to get into. Available sport seats add more bolstering and hard-driving support while still suiting a wide range of body types. Rear-seat leg room is minimal to non-existent, however, especially if the front-seat occupants are on the taller end of the spectrum. Adding to the elegant feel, aluminum accents highlight key design elements, while most of the controls and functions are delegated to high-quality plastic switchgear. The front trunk is deeper and more spacious than you'd expect, but there's still only room for a pair of small-ish weekend bags. Fortunately there's a back seat for extra cargo. The cabin itself offers very little storage, with small door pockets and limited center console space. Even without crash scores, the 2014 Porsche 911 promises good safety thanks to electronic safety nets and quality engineering. Neither the National Highway Traffic Safety Administration (NHTSA) nor the Insurance Institute for Highway Safety (IIHS) has crash tested the 2014 Porsche 911. It's common for expensive sports cars to miss out on official crash testing, but the 2014 Porsche 911 packs a complement of standard and available electronic safety features to help assuage worried shoppers. In 2013, Porsche added a standard (on PDK-equipped models) adaptive cruise control system that uses front-looking radar to maintain distance from traffic. Even when not in use, the radar can spot road obstacles or other hazards and prime the braking system to improve stopping distances. Porsche Stability Management (PSM) is the brand's name for its stability and traction control systems, which can vary their level of assistance depending on the driving mode chosen, though all levels function to help keep the car pointed along the path the driver intends. Porsche Side Impact Protection (POSIP) adds thorax airbags, an upward-inflating airbag in the door panel, and reinforcements in the doors to help minimize injury in a side-impact situation. The 911's innate handling and braking capability also help drivers avoid road obstacles or other cars, and with optional ceramic composite brakes, the high-speed stopping ability of the 2014 Porsche 911 is excellent. The 2014 Porsche 911 is well-equipped even in base specification, but beware the rapidly mounting cost of an extensive upgrade list. The 2014 Porsche 911 is well-equipped even in its most basic form, and a very long list of available features can enhance performance, luxury, comfort, and technology--but at a price. Last year, Porsche added a new adaptive cruise control system for PDK-equipped models, front-end collision avoidance, and a panoramic sliding glass sunroof. For 2014, new features include available all-LED headlights with dynamic high/low beam function; new Sport bucket seats with available seat heating and memory settings (optional); a speed limit display function (optional on vehicles with PCM plus navigation); digital radio (optional); 235-watt CDR Plus audio with 9 speakers and CD/DVD drive, plus USB and iPod/iPhone connectivity (optional); and a new selection of exterior and interior colors. Standard equipment includes: Porsche Communication Management, which combines audio, navigation, and phone-integration functions; a seven-inch touchscreen interface; DVD/CD/MP3 audio; and more. Keyless entry, USB, iPod interface, Bluetooth, and automatic two-zone climate control are also standard. A sliding/tilting sunroof is also available, as is the ParkAssist system with front and rear parking sensors and an overhead display of nearby obstacles. The Burmester surround-sound system is available as an upgrade, and it sounds fantastic. With the Burmester, you'll get 12 channels pumping a total of 821 watts, including a 300-watt subwoofer, plus Air Motion Transformer tweeters and some of the best sound we've heard in a car. A Bose system is also available, though we'd pick the Burmester if money is no object. Many more individual options are also available, though if you get too wild with the add-ons, the bottom line will quickly grow far beyond the $82,100 (Carrera) and $96,400 (Carrera S) base prices. While not anywhere near hybrid territory, the 2014 Porsche 911 is fairly efficient for its performance class. Performance per gallon is a tricky thing to measure, but the 2014 Porsche 911 scores well. On the actual gas mileage front, it doesn't do too shabbily, either. The base Carrera with PDK is the most efficient offering, at 20 mpg city and 28 mpg highway--very respectable figures for any 350-horsepower daily driver. Adding 50 horsepower and all-wheel drive, as in the Carrera 4S, with the seven-speed manual transmission, reduces the score just 2 mpg to 18/26 mpg. Most of the other 991-based models fall somewhere between those bookends, except for the Turbo and Turbo S, which return an EPA score of 17 mpg city and 24 mpg highway, and the GT3, which scores just 15 mpg city and 20 mpg highway. My 5th 911 going back to 1967. That car was fun to drive but so poorly adapted to US fuel, environment, etc, that is was a beast to own and, like a boat, my second happiest day was buying it. My happiest day... My 5th 911 going back to 1967. That car was fun to drive but so poorly adapted to US fuel, environment, etc, that is was a beast to own and, like a boat, my second happiest day was buying it. My happiest day was selling it. Until my present car, my favorite was the 1983 911SC Cab. Loved that car, even though the A/C still sucked. Two later Cabs were, frankly, poorly built. The front end of the 1986 squeaked!! No more Porsche for me for years. But I followed the news and saw that dependability was improving a great deal. 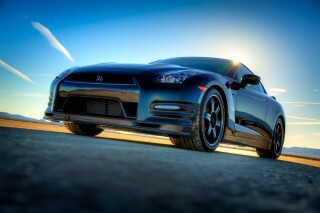 The best of the best simply awesome like no other car in the world!